Shoreline Marine All-Round Stern Light, 36"
The Shoreline Marine All-Round Stern provides excellent lighting on a variety of boats meeting 2-mile visibility regulations when properly mounted. 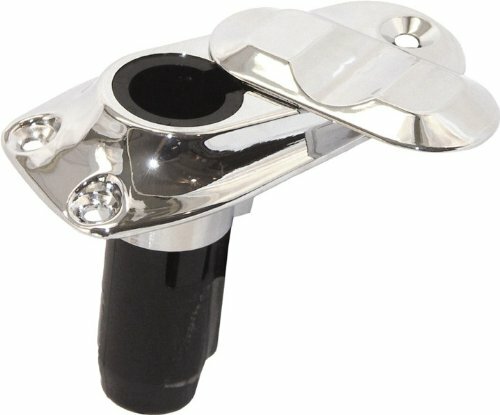 The Stern light is equipt with a universal plug that fits most 2-pin bases. The anodized aluminum pole resists the elements. The frosted globe provides 360° visibility. Meets USCG specifications for boats under 39 feet. Standard bulbs in 24", 36" and 48" lengths. This is a 24" led all-round stern light made in plastic housing and aluminum post. 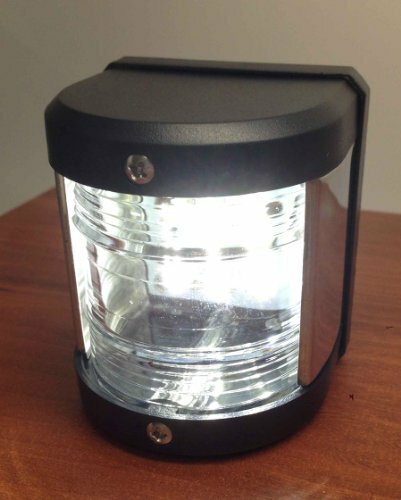 This light has a visibility of 2 nautical miles (nm), and it is approved by uscg. Material: Plastic housing & aluminum pole. Working voltage: 12 vdc. Lumen: 80-100. Watt: 1w. Mount: 2 pin female connection. Visibility: Uscg 2nm. Dimension: Length: 24", light housing diameter: 1", and pole diameter: 3/4". Item number: Pm151595. Traditional Style Frosted Globe All-Round Light- - 30" pkg-2 Pin Locking Collar Pole-Simpler part numbers make ordering and inventory easier. Provides 360&#deg; illumination. 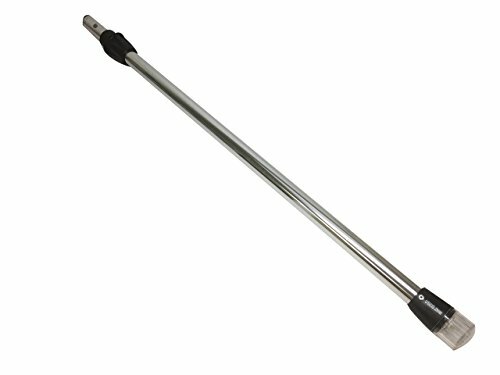 Aluminum pole that includes a 9-watt wedge-base lamp. Stern light base packed with features. 2 Prng design fits all standard 2-prong stern lights. Light conver keeps elements out when not in use and locks stern light into place when installed. Durable zamak chrome plated construction and pre-wired pgtail harness round out the awesome features. Snap adjustable light pole extends from 28 to 49inches in height. 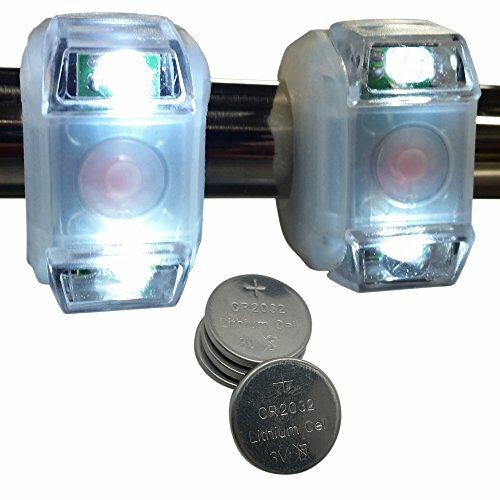 This all around plug in navigation light has a universal plug that will fit most 2 pin bases; the anodized aluminum pole resists the elements and has a frosted 360 degree globe. Meets USCG specification for boats under 39 feet. Material: ABS PLASTIC Waterproof IP66 rating Voltage: 12VDC LED light construction Wattage: 0.54W Color Temperature: 5500-6300K For boats up to 12M Dimensions: 3" by 2 1/2" Beam angle" 135 degrees Lighting rule of thumb; Stern lights are white and shine aft and 67.5° forward on each side. (Thus, the side lights and stern light create a full circle of light.) All-round lights are white and shine through 360°. Masthead lights are white and shine from 112.5° on the port side through dead ahead to 112.5° on the starboard side. They must be above the side lights. Item: P00141LD 1 year Limited Product Warranty see below for details. Easy to install with included hardware, this light base features a watertight cap for protection, keeping it dry and clean.